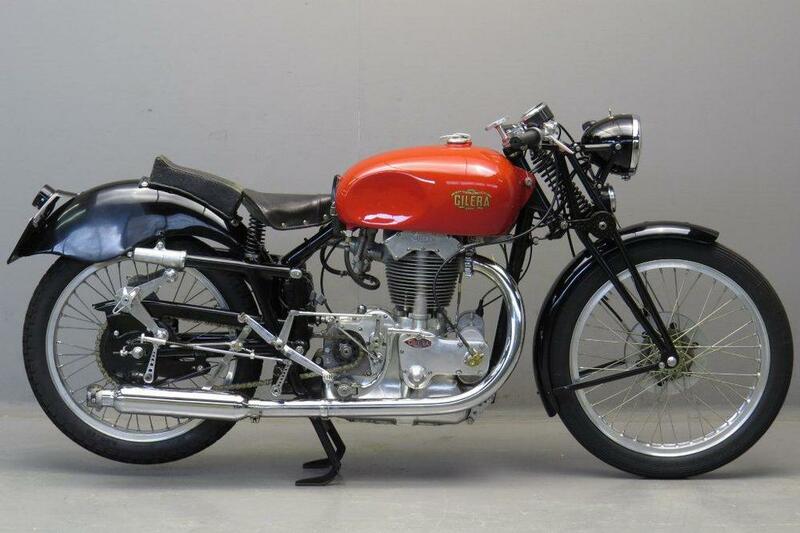 Like the BSA Gold Star in the U.K., in Italy the Gilera Saturno had a mixture of looks — especially its monolithic single-cylinder engine — performance and slightly mythical reputation that made it the model to aspire to own. And like the Gold Star, a genuine example is a treat to own and ride, if you can find or afford one. “I’m not hearing it! I’m not hearing that special noise it makes when it comes on cam — you’ve got to give it more gas!” I’m riding Luigi Mazzaccherini’s 1949 Gilera Saturno Sport, and these are the first words he offers me as I pull over to check something with Marco the photographer.